Sending out a strong message to Pakistan, India and the US late on Monday urged the country to ensure that its territory is not used to launch cross-border terror strikes and to "expeditiously" bring to justice the perpetrators of the 26/11 Mumbai and Pathankot attacks. President Donald J Trump hosted Prime Minister Narendra Modi of India at the White House on 26 June for an official visit to Washington, DC. In marking 70 years of diplomatic relations between India and the United States, the leaders resolved to expand and deepen the strategic partnership between the countries and advance common objectives. Above all, these objectives include combatting terrorist threats, promoting stability across the Indo-Pacific region, increasing free and fair trade, and strengthening energy linkages. Trump and Modi expressed confidence that, together, the United States and India will provide strong leadership to address global challenges and build prosperity for their citizens in the decades to come. Trump welcomed further Indian contributions to promote Afghanistan’s democracy, stability, prosperity, and security. Recognising the importance of their respective strategic partnerships with Afghanistan, the leaders committed to continue close consultations and cooperation in support of Afghanistan’s future. In accord with India’s Think West policy, Trump and Modi resolved to increase cooperation, enhance diplomatic consultations, and increase tangible collaboration with partners in the Middle East. The Leaders stressed that terrorism is a global scourge that must be fought and terrorist safe havens rooted out in every part of the world. They resolved that India and the United States will fight together against this grave challenge to humanity. They committed to strengthen cooperation against terrorist threats from groups including Al-Qaida, Islamic State, Jaish-e-Mohammad, Lashkar-e-Taiba, D-Company, and their affiliates. India appreciated the United States designation of the Hizb-ul-Mujahideen leader as a Specially Designated Global Terrorist as evidence of the commitment of the United States to end terror in all its forms. In this spirit, the leaders welcomed a new consultation mechanism on domestic and international terrorist designations listing proposals. The leaders announced increased cooperation to prevent terrorist travel and to disrupt global recruitment efforts by expanding intelligence-sharing and operational-level counter-terrorism cooperation. They welcomed commencement of the exchange of information on known and suspected terrorists for travel screening. They further resolved to strengthen information exchange on plans, movements and linkages of terrorist groups and their leaders, as well as on raising and moving of funds by terrorist groups. Trump and Modi pledged to deepen defense and security cooperation, building on the United States’ recognition of India as a Major Defense Partner. The United States and India look forward to working together on advanced defense equipment and technology at a level commensurate with that of the closest allies and partners of the United States. Reflecting the partnership, the United States has offered for India’s consideration the sale of Sea Guardian Unmanned Aerial Systems, which would enhance India’s capabilities and promote shared security interests. Resolving to expand their maritime security cooperation, the leaders announced their intention to build on the implementation of their "White Shipping” data sharing arrangement, which enhances collaboration on maritime domain awareness. Trump welcomed Modi’s strong support for the United States to join as an Observer in the Indian Ocean Naval Symposium. Noting the importance of the upcoming MALABAR naval exercise, the leaders determined to expand their engagements on shared maritime objectives and to explore new exercises. As global nonproliferation partners, the United States expressed strong support for India’s early membership in the Nuclear Suppliers Group, the Wassenaar Arrangement, and the Australia Group. 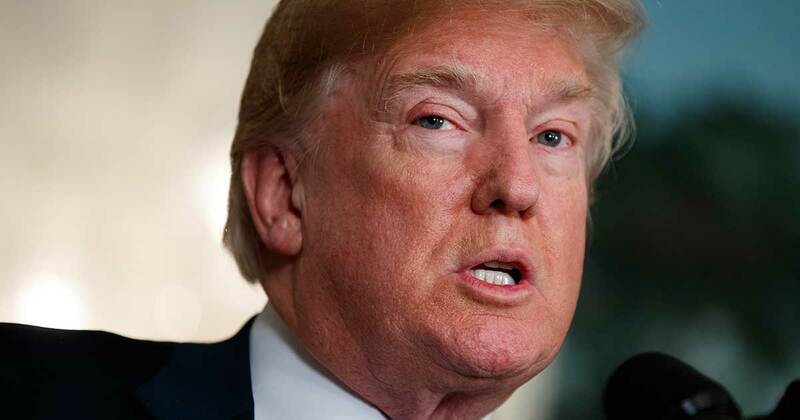 Trump reaffirmed the support of the United States for India’s permanent membership on a reformed UN Security Council. The leaders committed that the United States and India — leading engines of growth in the global economy — should intensify their economic cooperation to make their nations stronger and their citizens more prosperous. Noting that extensive economic and tax reforms launched in their respective countries will unlock immense economic opportunities for both countries, the leaders committed to further expanding and balancing the trade relationship and to removing obstacles to growth and jobs creation. They also resolved to pursue increased commercial engagement in a manner that advances the principles of free and fair trade. 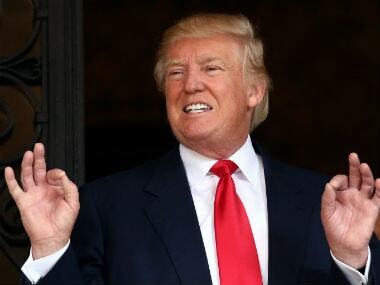 To this end, the United States and India plan to undertake a comprehensive review of trade relations with the goal of expediting regulatory processes; ensuring that technology and innovation are appropriately fostered, valued, and protected; and increasing market access in areas such as agriculture, information technology, and manufactured goods and services. Trump and Modi further committed to strengthening cooperation to address excess capacity in industrial sectors. They called on their teams to find creative ways to improve bilateral trade. 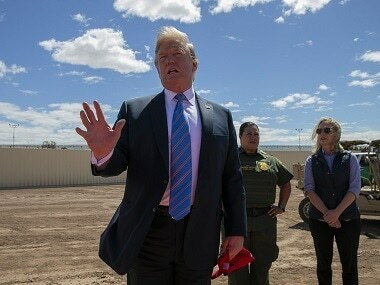 Trump affirmed that the United States continues to remove barriers to energy development and investment in the United States and to US energy exports so that more natural gas, clean coal, and renewable resources and technologies are available to fuel India’s economic growth and inclusive development. 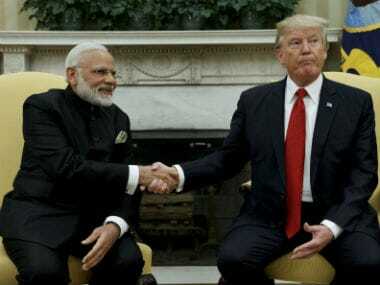 Modi and Trump looked forward to conclusion of contractual agreements between Westinghouse Electric Company and the Nuclear Power Corporation of India for six nuclear reactors in India and also related project financing. Both leaders welcomed upcoming visits between India and the United States that will expand energy and innovation linkages across the energy sector and deepen cooperation, including on more efficient fossil fuel technologies, smart grids, and energy storage. They supported financing of energy projects, including clean coal projects, by Multilateral Development Banks to promote universal access to affordable and reliable energy. Recognising that we are in an increasingly digital world, the leaders agreed to intensify the mutually beneficial partnership to fully harness their innovation capabilities to solve global developmental challenges. As global partners, the United States and India resolved to further strengthen their collaboration in health, space, oceans, and other areas of science and technology. The leaders also agreed to strengthen their cooperation to address the growing threats and challenges from malicious cyber activity and committed to work together to promote an open, interoperable, secure, and reliable cyberspace environment that supports innovation, economic growth, and commerce. Applauding the entrepreneurship and innovation of Indians and Indian-Americans that have directly benefitted both nations, Trump welcomed India’s formal entry into the International Expedited Traveler Initiative (Global Entry program) in order to facilitate closer business and educational ties between the citizens of India and the United States. Trump gladly accepted Modi’s invitation to visit India. They look forward to working together in a spirit of friendship in the years to come.